Can I copy a service from one client to another? 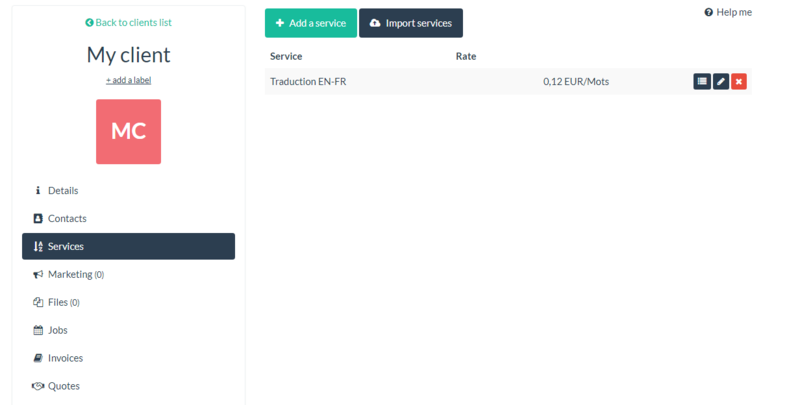 Yes, you can automatically import a service (with matches!) from one client to another. In the Services tab of each client, you see the “Import services” button. 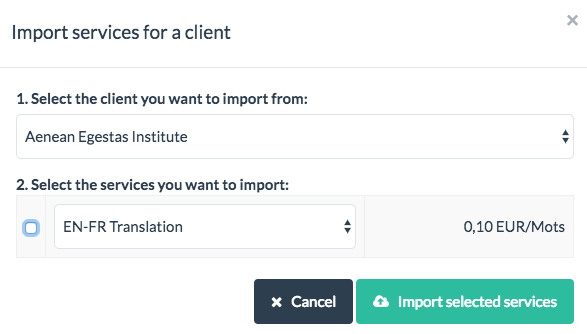 When you click on it, you can choose from which client you would like to import services and which service(s) you would like to import exactly.